The 2018 Elizabeth Ann Seton Awards included the inaugural Elizabeth Ann Seton Philanthropy Symposium. The symposium was an effective forum for past and present awardees, preeminent Catholic education philanthropists, to share best practices and ideas with development and advancement leaders from local schools and diocesan offices. It was an opportunity to discuss strategies and efforts to support Catholic education and to help expound ways to ensure future vitality for Catholic schools. 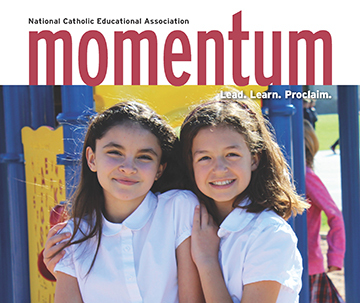 This report, The Future of Catholic Schools in the United States: Advancing the Vision, Minding the Mission , was compiled by NCEA and Changing Our World. 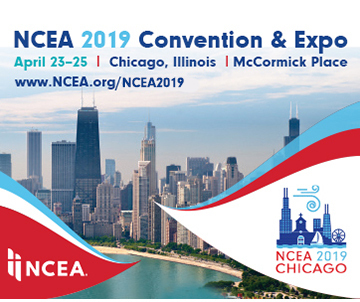 It is a compendium of information meant to help schools and dioceses look closely at their needs and match them to what is working across the country and to visualize how some of these programs and ideas can be adapted to fit Catholic schools wherever they are. Jim Perry is a managing director and Co-Head of the MDP Telecom, Media & Technology Services team. 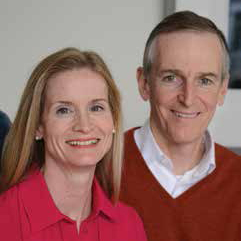 Prior to co-founding MDP, he was with First Chicago Venture Capital for eight years. Previously, he was with The First National Bank of Chicago. Jim currently serves on the Boards of Directors of Asurion Corporation, Centennial Towers, Intermedia.net, Inc., Liquid Web, The Topps Company, Univision Communications, and Chicago Public Media. In addition, he is on the Board of Overseers of the University of Pennsylvania School of Arts and Sciences and serves as chairman of the school board of the Archdiocese of Chicago. 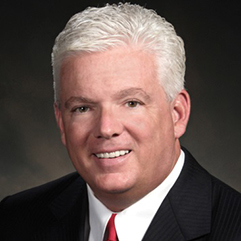 Kevin Short is the managing partner and CEO of Clayton Capital Partners, a St. Louis-based investment banking firm specializing in merger and acquisition advisement. Recognized as a leader in purchase and sale transactions of mid-size businesses spanning a wide range of industries, Short has orchestrated more than 150 purchase/sale transactions with an aggregate value of more than $1 billion. Years of experience (both as a business owner and as an adviser in this marketplace) enable Short to aggressively pursue his clients’ objectives during the turbulence that characterizes every transaction. Mr. Short devotes his free time to the education of children from low-income families. He serves as chairman of the board for the Today and Tomorrow Educational Foundation, the chairman of the Finance Council of the Archdiocese of St. Louis, the vice-chairman of the Show-Me Institute, a board member of the Mercy Hospital System and The Children’s Scholarship Fund and is a recipient of the FOCUS St. Louis “What’s Right With The Region” Award. 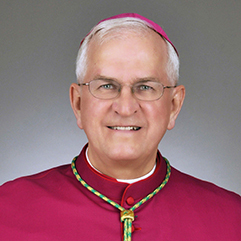 His Holiness Benedict XVI appointed Most Reverend Joseph E. Kurtz, D.D., as the fourth archbishop and ninth bishop of the Archdiocese of Louisville on June 12, 2007. He was installed as Archbishop of Louisville on August 15, 2007. Before coming to Louisville, Archbishop Kurtz served as Bishop of Knoxville from 1999 to 2007. Archbishop Kurtz has served on numerous boards, including service on the Pennsylvania Catholic Conference, president of the board of directors of the Catholic Social Agency, president and vice president of the United States Conference of Catholic Bishops (USCCB), board member of Leadership Louisville and St. Charles Seminary. Archbishop Kurtz serves as the Episcopal Moderator for the National Catholic Partnership on Disability and Engaged Encounter and as the board chair for the Catholic Education Partners. He is currently on the Board of Trustees of the Catholic University of America as well as the Board of Directors for the Institute for Priestly Formation and the National Catholic Bioethics Center. He also serves as a member of the Council for the National Catholic School of Social Service at Catholic University and on the Advisory Board to the cause for Archbishop Fulton Sheen’s beatification. In February of 2014, Pope Francis appointed Archbishop Kurtz to the Holy See’s Congregation for the Oriental Churches. Porto Charities, Inc. is a charitable organization dedicated to actively assisting people with developmental or intellectual disabilities; their community and their environment. Through outreach efforts Porto Charities raise and provide funds, resources, assistance, education, residences and overall improved quality of life for people with developmental or intellectual disabilities; and promote education, awareness, friendship and social forums among members, their families and the community. 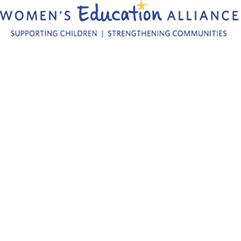 Women’s Education Alliance (WEA) assists in the education and formation of qualified Pre-K through 8th grade students by providing scholarships to Catholic Community School serving economically disadvantaged families in Baltimore City. In addition to a quality academic education, WEA also provides school support services that enhance each student’s total learning experience on a cultural, spiritual, physical and social level. Rev. Joseph O’Keefe, SJ, is a fellow in the Center for Catholic School Leadership and Faith-Based Education, and a Scholar-in-Residence in the Graduate School of Education at Fordham University, where he also serves as rector of Ciszek Hall, and the community for young Jesuits in formation studies. Previously, he was a tenured professor at the Lynch School of Education at Boston College, where he served as dean. 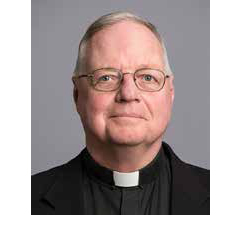 An internationally recognized expert on Catholic education, Father O’Keefe is the editor or co-editor of 12 books and author or co-author of more than 40 articles and book chapters on Catholic education and educational leadership. In addition, he was the recipient of the F. Sadlier Dinger Award for his contribution to Catholic education. In 2016, Father O’Keefe was reappointed by United States Secretary of Education John B. King, Jr. to a second term on the National Assessment Governing Board, where he represents the private school community. He has been a trustee at five Jesuit universities, along with several middle schools and high schools, including Regis High School in New York City. Father O’Keefe entered the Society of Jesus in 1976 and was ordained in 1986. 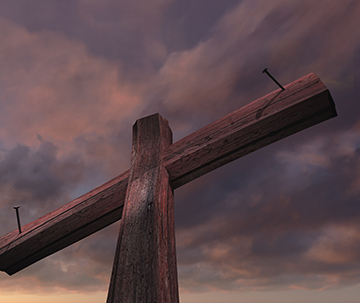 He received his bachelor’s degree from The College of the Holy Cross and a Master of Divinity and Licentiate in Sacred Theology from the Weston Jesuit School of Theology (now the Boston College School of Theology and Ministry). In addition, Father. O’Keefe received a master’s degree in French from Fordham University and a doctorate in administration, planning and policy from the Harvard University Graduate School of Education. We are grateful to have Michael Villani join us at the 2018 NCEA Seton Awards Gala as the emcee for the evening. 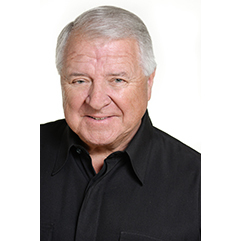 Michael is an actor/voice over artist in Los Angeles, and has been since graduating from the University of Missouri with a Broadcast Journalism degree in 1970. He co-starred with Robert Redford and Michelle Pfeiffer in Up Close and Personal, was featured in Volcano with Tommy Lee Jones and Wag the Dog with Robert De Niro and Dustin Hoffman. Mike was the announcer for the Hollywood Film Festival for 18 years, and was the Venue announcer for Indoor Volleyball at the 2004 Olympics in Athens, Greece and in the same capacity for the 2008 Summer Olympics in Beijing, China. He also worked the Wounded Warrior Games at the Air Force Academy in Colorado Springs, where he announced the Opening and Closing Ceremony and the Sitting Volleyball competition. Mike is "Inside the Ropes" with the PGA, as a starter at the Genesis Open golf tournament at Riviera Country Club. Commercially, Mike was the national spokesman for DiTech.com for eleven years and the international voice for Warner Brothers Television, just to name a few of his long list of credits. Michael is very involved in his church in Newport Beach, California as both a Lector and Eucharistic Minister and also is a 4th Degree Knight of Columbus.